The city of Sacramento plays host to a large fall run of Chinook salmon every year when the fish move through the State Capitol on their way to the spawning grounds on the upper section of the Sacramento River near Redding, the American River, the Feather River and other tributaries. 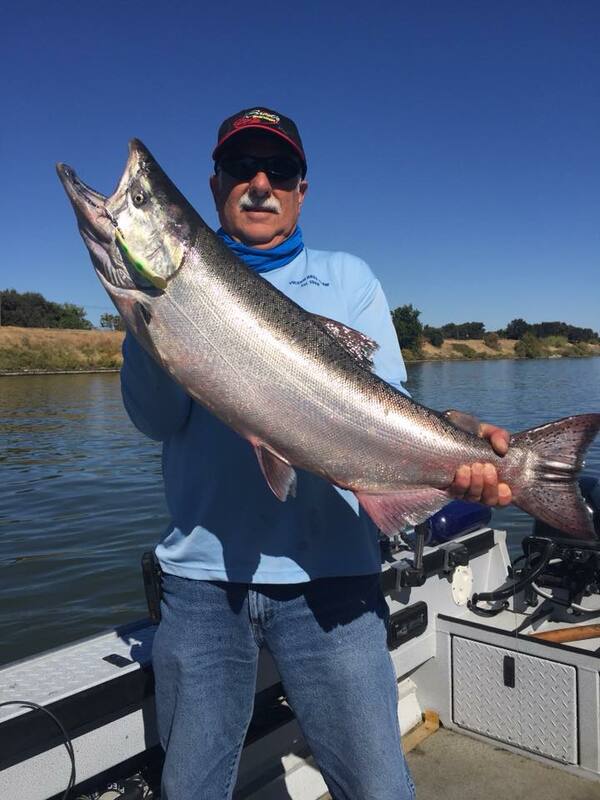 The fishing on this salmon opener on July 16 was surprisingly good at two spots on the river – the Sacramento River below Red Bluff and the mouth of the American River at Discovery Park right here in Sacramento. As was the case last year, the cooler water coming down the American caused the fish to hold at the mouth. In fact, a number of guides from out of town, including Kirk Portocarrero of sacriverguide.com decided to try fishing the river out of the Discovery Park ramp on the opener, along with the local anglers who converged on the river. Portocarrero reported excellent fishing on opening day out of Discovery Park. The four anglers fishing with Portocarrero landed 4 salmon ranging from 12 to 18 pounds while trolling Silvertron spinners below the mouth of the American. On his first trip on July 24, he landed an 18 lb. salmon below the mouth of the American on a Blue Fox spinner. However, the next two trips he made didn’t yield any fish. 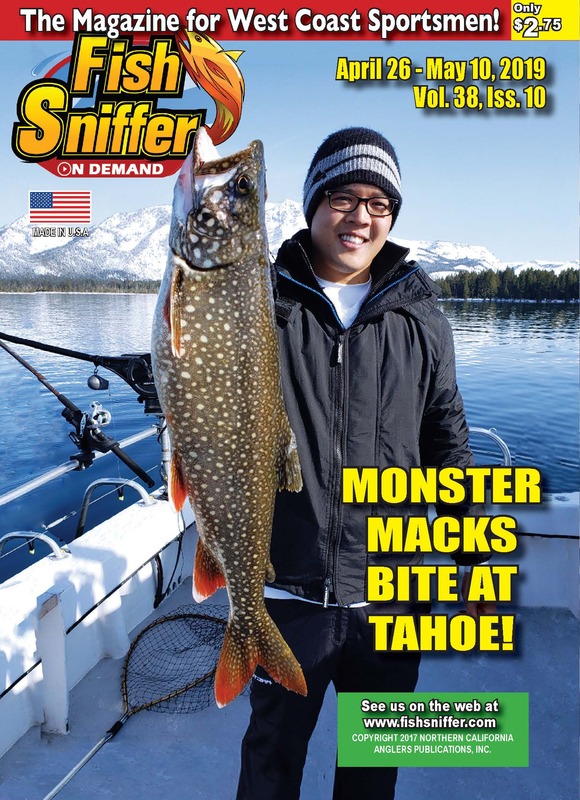 Dennis Pfanner at Sacramento Pro Tackle confirmed the slowdown in fishing. “Since the opening week of salmon season, the fleet at the mouth has caught zero to three fish per day,” he stated. “These are the mid-June to mid-July fish that we have been seeing for years,” Pfanner said. “After mid-July, the numbers usually begin to slow down. We don’t see the bigger numbers of fish until mid-September when the American River fish move into the system. The fishing could be very good in the Sacramento this fall, based on the stellar fishing trollers are currently experiencing on the ocean from Half Moon Bay to Bodega Bay, with the most consistent action at press time taking place right now outside of the Golden Gate along the Marin County coast. The actual abundance of Sacramento River fall run salmon on the ocean appears to vary greatly from the less-than-stellar forecast. The jack counts are employed to model the ocean abundance forecasts for the year. Forecasts by Dr. Michael O’Farrell of NOAA Fisheries presented at the CDFW meeting on March 1 in Santa Rosa suggest there are 229,400 Sacramento River fall Chinook adults in the ocean this year, but the actual number appears to be much larger, based on the current fishing. “The goal is to get even more fish back to the spawning grounds this fall than would be required in a normal year,” said California Department of Fish and Wildlife (CDFW) Fisheries Branch Chief Kevin Shaffer in April. That goal appears to be something well within reach, based on the current numbers of fish that anglers are fishing on the river. John McManus, President of the Golden Gate Salmon Association, attributes the surprisingly good showing of salmon on the ocean to two major factors: good downriver flows during the winter and spring in 2016 and 2017 and a change in hatchery salmon smolt release procedures by the California Department of Fish and Wildlife (CDFW). McManus noted that the charter boat fleet has reported catching early limits off the coast since the beginning of the season. “One good sign also is that we’re seeing a real variety of fish from 18 to 22 inches, suggesting that fish aren’t coming from a single source. This suggests they are coming from a number of different rivers and tributaries throughout California. Only time will tell. That’s an optimistic sign,” said McManus. McManus also noted that there is a “pretty good” showing of three-year old fish 10 pounds and over on the ocean. “These fish were born at end of the drought in 2015 and into the early part of 2016. Those fish had benefits of the 2016 late winter and spring rains that broke the drought here in Northern California,” said McManus. In addition to good flows, the CDFW hatchery staff made a major improvement, starting at the Mokelumne River Fish Hatchery, when they discovered by analyzing coded wire tags that hatchery salmon smolts released on days one and two of the release into the estuary survived at a much higher rate than fish released subsequent to day two. “When the truck released the fish five days in a row, they only saw fish that came back to the hatchery on days one or two. The fish released on days 3 to 5 didn’t show up, since predators found where they were.,” said McManus. Starting in 2016, the salmon releases were made on a schedule of 2 days on, five days off, throughout the hatchery system. “We are apparently seeing the benefit of the new release strategy paying off big time, but we won’t know for sure until next year,” said McManus. Anglers are expecting solid salmon action on the Sacramento River in the metropolitan area this fall, from Discovery Park to Freeport, along with other areas up and down the river from Amderson to Isleton, based on the top-notch fishing ocean anglers are seeing outside of the Golden Gate. 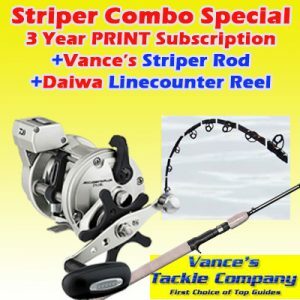 Shore anglers will be tossing out Blue Fox and Mepps Flying C spinners in the Sacramento area from Discovery Park to below Freeport, while boaters will be trolling or anchoring up with Brad’s Cut Plugs behind dodgers, Kwikfish, Flatfish, spinners and other lures. 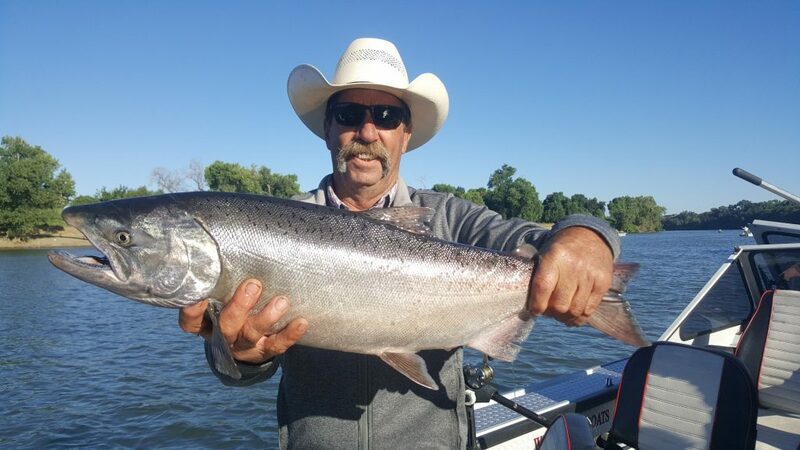 James Netzel of Tight Lines Guide Service, (888) 975-0990, will be available for salmon trolling trips on the Sacramento from Miller Park to Garcia Bend from mid-September to mid-December. 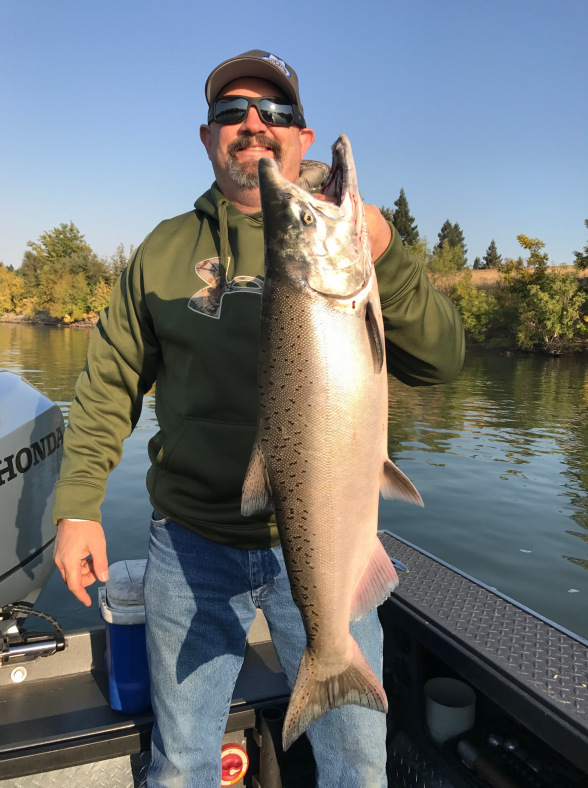 Monte Smith of Gold Country Sportfishing, (209) 581-4734, will also be guiding for king salmon in the metropolitan area this fall from after Labor Day weekend through Thanksgiving. Salmon Fishing Regulations: The salmon fishing season is set at the California Fish and Game Commission meeting every April after the Pacific Fishery Management Council adopts the ocean salmon fishing regulations. The salmon season in 2018 runs from July 16 to December 16 except on the Sacramento River and on the American from the Jibboom Street Bridge to the mouth. The daily bag limit is one salmon and the total possession limit is two fish this season. Review the California Fresh Water Sport Fishing Regulations Booklet and Supplement for more information. Discovery Park/American River Parkway Day Use: The entrance fee for vehicles under 22 feet in length is $5.00, except on summer holiday weekends when the fee is $8.00. The fee for trailer or vehicle 22 or more feet in length is $10.00 except for summer holiday weekends when the fee is $13.00. Motorized watercraft and trailer plus vehicle pass – $100.00. Boat launching: Concrete boat ramps are available at Discovery Park and Howe Avenue in the American River Parkway and at the Broderick Boat Tramp, Miller Park Regional Park and Garcia Bend on the Sacramento River. Park information: www.sacparks.net, Sacramento County Department of Regional Parks, Recreation and Open Space Administration, 3711 Branch Center Road, Sacramento, CA. 95827. For General Parks, Golf and Rangers Information, call (916) 875-6961. 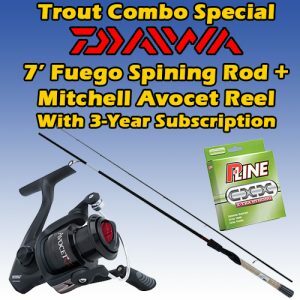 Fishing Information: Fisherman’s Warehouse, Sacramento, (916) 362-1200; Elkhorn Outdoor Sports, Rio Linda, (916) 991-5298; Broadway Bait Rod & Gun, Sacramento, (916) 448-6338, Sacramento Pro Tackle, (916) 925-0529.